At the start of the New Year the students were introduced to volleyball and badminton. The volleyball skills we have covered include: Underarm pass (bump), underarm serve, overarm serve, setting, and blocking and spiking the ball over the net. As students develop and refine their skills they will participate in volleyball games to reinforce the skills taught. Students will partake in games such as: Newcomb, Radiball, King & Queen of the Court, Sideline Volleyball, and Six on Six. Students are learning the fundamental rules of badminton and how to develop their badminton serve by trying to get the shuttle over the net. The Badminton games include: Quarters, Shuttle Cricket, Two vs. Two, and Tournament play. Students will work together to improve their skills in game situations. Volleyball and Badminton includes teaching the fundamentals and working on team collaboration which will help students excel in the sport, grow in spirit, mind, and body. Students next week are preparing for the school-wide knockout basketball tournament against other grade levels and staff. 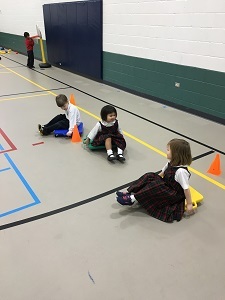 This month preschoolers, kindergartners and first grade students worked on building manipulative skills which include: throwing, kicking, rolling, bouncing, catching and striking. Manipulative skills are any gross motor skills that involve an object. Students were engaged in games such as: Volcano, Star Wars, Messy Room, and Knock Them Down. 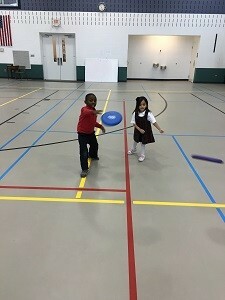 Students were introduced to stations and worked on: knocking down pins, shooting at a basketball hoop, striking a ball at a net, throwing a Frisbee, catching a football, manipulating scooters, jumping rope, and throwing a ball in a bucket. Students in grades 2 and 3 worked on hockey, badminton and volleyball. 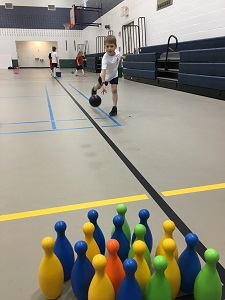 Students played a variety of games which included: Star Wars, Line Hockey, Two on Two Badminton and Newcomb and continue to work on the fundamental rules of each sport. 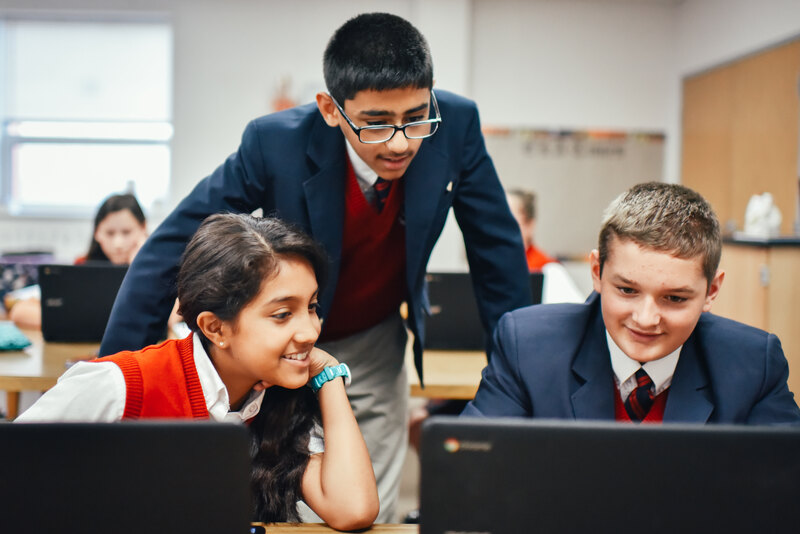 Students are increasing their developmental skills and interacting positively with respect for others, developing team building skills, and sportsmanship in a physically active setting.